There’s no doubt that housing in the US has come under significant pressure over the past year. A lethal combination of rising interest rates and home prices — at a late phase in the economic cycle — has given way to weak mortgage-lending, climbing inventory, and a bear market in housing stocks. Slowing demand has been the main driver of excess inventory in new homes, Meyer wrote. She pointed specifically to the monthly supply of houses in the United States — a gauge of how many months it would take to clear inventory given the current pace of sales — rising above the historical average. The culprit behind Americans‘ waning appetite for new home-buying? Still, Bank of America contends the data is „quite volatile and we can’t be sure that the recent move up is a start of a new trend.“ The firm also asserted its confidence in healthy levels of employment and wage growth ticking higher. 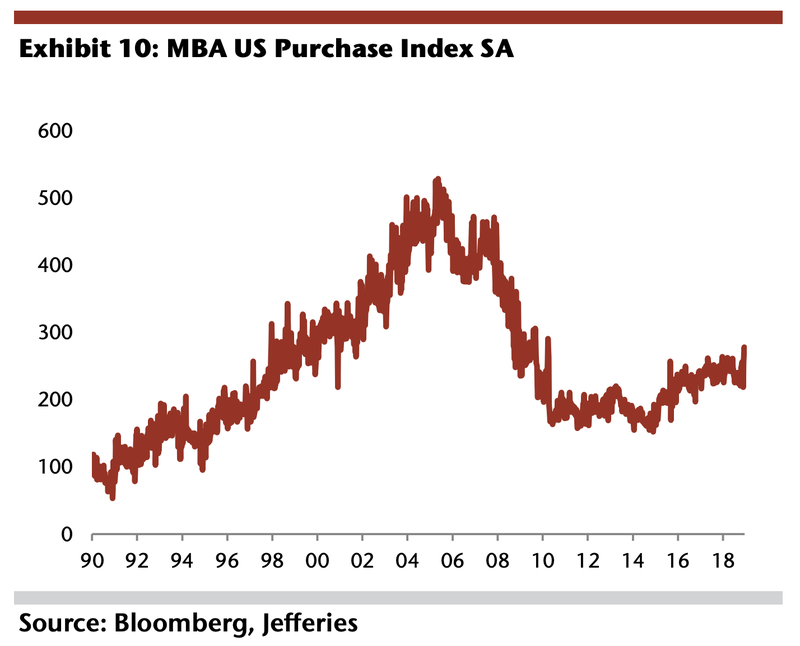 „At a time when the markets are fretting over global growth and trade, the domestic homebuilders appear to be in a much better position than investors have priced in,“ the Jefferies team added. „The news we’re seeing on this group is not overly comforting, but there is no question that mortgage rates have stabilized at a level that is well below last year’s highs… and this seems to be helping the group bounce back,“ Maley wrote in a weekend note to clients. Some housing industry executives have sounded the alarm on a slowdown in the industry — but insist growth has not come to a screeching halt. Earlier this month, US homebuilder Lennar reported lower-than-expected quarterly home sales and orders, compounding fears of weakness in the market. Still, Stuart Miller, the company’s executive chairman, attempted to assuage investors‘ concerns.